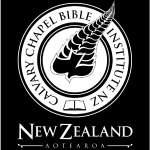 Calvary Chapel Bible Institute (CCBI) is based in Reporoa on the North Island of New Zealand. Our Bible College is a venture in faith, in partnership with Calvary Chapel Hamilton, and the fellowship of Calvary Chapel Bible Colleges worldwide. As a Calvary Chapel Bible School, CCBI follows the distinctive of Calvary Chapel in seeking to encourage, equip and train the saints for ministry through the verse by verse exposition of the scriptures.